When momentum gathered to reign in the national security state in 1976, the powers that be struck back with a distraction campaign that worked. Yesterday we learned how in 1975 the media, CIA apostate Philip Agee, the Church Committee in the Senate and the Pike Committee in the House revealed the American intelligence community to be a violent, thuggish and ineffectual embarrassment to the Constitution of the United States—and not very intelligent to boot. And what happened next, in 1976? Pretty much nothing. The establishment’s distraction campaigns proved too powerful. Begin the melodrama around Christmastime 1975, with Agee, author of the devastating expose Inside the Company: A CIA Diary. He had by then, from his hideout in Communist Cuba, joined a movement to actively sabotage American intelligence, centered in the organization the Fifth Estate and its magazine Counterspy (whose founders and funders included the novelist Norman Mailer). “The most effective and important systematic effort to counter the CIA that can be undertaken right now,” Agee wrote in the winter 1975 issue, was “the identification, exposure, and neutralization of its people working abroad.” One of the people Agee’s article thus named was named Richard Welch, whom he identified as the station chief in Lima, Peru. By then, however, Welch was not in Lima. He was the station chief in Athens—where, two days before Christmas, he was ambushed and assassinated by masked men outside his home. Agee’s article was merely coincidental to the attack—and in Athens, Welch’s cover had already, independently, been blown (as, in fact, it had been in Lima), not least because he lived in a house whose CIA identity was a matter of wide public knowledge. The work being done by the House and Senate select committees on intelligence had even less to do with it. No matter: here was the perfect fodder for a perfect disinformation campaign. Presidential press secretary Ron Nessen insinuated that the intelligence committees’ carelessness was responsible for the tragedy. The plane bearing Welch’s coffin was timed to touch down at Andrews Air Force Base for live coverage on the morning news, greeted by an Air Force honor guard. (It circled for fifteen minutes to get the timing just right.) Time had already eulogized Welch as a “scholar, wit, athlete, spy”—a gentleman James Bond. “Never before,” Daniel Schorr announced on the CBS News on December 30, “had a fallen secret agent come home as such a public hero,” and the lionization was only beginning: over the protests of the Veterans of Foreign Wars, Welch’s burial broke military protocol by taking place at Arlington Cemetery, starring more honor guards, dozens of flags, the flower of the American defense establishment and the very same horse-drawn caisson from the interment of President Kennedy bearing the coffin; President Ford escorted the veiled widow. Soon, hundreds of telegrams and letters—some with just the single word “Murderer!”—flooded the Church Committee’s transom, from angry citizens’ alerts to the administration’s insinuations that it all must have been congressional investigators’ faults. A supposedly adversarial press piled on, especially The Washington Post. In 1974 it brought down a president; now, it ran thirteen stories in the week after Welch’s death following the administration line, an editorial labeling it the “entirely predictable result of the disclosure tactics chosen by certain American critics of the agency.” Wrote the Post’s admirably independent ombudsmen Charles Seib, “The press was used to publicize what in its broad effect was an attack on itself.” That is, when the press bothered to cover intelligence reform at all, now that a weary press public’s attentions had turned elsewhere—to the hydra-headed 1976 Democratic presidential field, to the showdown between Gerald Ford and Ronald Reagan for the Republican nomination, to the impending bicentennial celebrations. And it all happened just as the two select committees on intelligence were drawing up their final reports and investigations for intelligence reform—terrified, now, that any more disclosure of any secret would discredit the entirety of their work. That was no accident. It was an orchestrated campaign—one taking advantage, not of the committees’ recklessness (in fact they were remarkably free from leaks) but of their very deliberateness, the months of quiet investigation and backroom executive sessions that provided an opening for propaganda to blindside reform. A high-ranking CIA official named David Atlee Phillips quit from the Company to organize retirees into an apparently independent lobby. Though in the shadowlands of espionage, nothing could be so straightforward. They actually worked in harness with a president who used words like “crippling” and “dismantling” in his every reference to the intelligence investigations. And by the time the White House began dancing on Richard Welch’s grave, Atlee’s 600-member Association of Retired Intelligence Officers were ready to wave the bloody shirt on the president’s behalf—in speeches, letters to the editor and canned op-eds from a forty-eight-page guide, all pressing the message that the expansion of the nation’s suspicious circles into the sacred precincts of intelligence was putting her heroes in danger. Until, hardly three weeks after Welch’s death, the momentum for reigning in the intelligence community was at all but a standstill—just as planned. 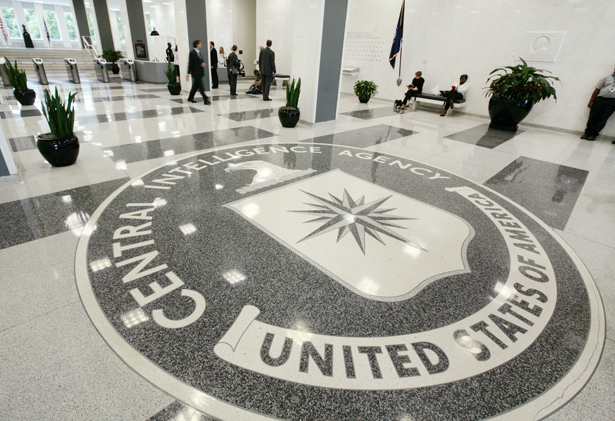 “Revamping the CIA: Easier Said Than Done,” as The New York Times headlined on January 18. And then—that same week, in fact—came the saga of the Pike Committee’s final report. Historian Kathryn Olmsted, in her definitive Challenging the Secret Government: The Post-Watergate Investigations of the CIA and FBI, from which much of this material derives, has written how the Pike Report, drafted by a veteran of the Senate Watergate investigation, was, for a government document, a model of literary grace, and hard-hitting as hell: it opened with a seventy-page savaging of the Ford administration’s lack of cooperation with their work. It continued, much more aggressively than the public hearings—which had been plenty aggressive themselves—by documenting the CIA’s wasteful spending (where it could figure out what it spent), its bald failures at producing useful predictions, its abuses of basic civil liberties and its indifference that any of this might be a problem. It singled out Henry Kissinger, still the establishment’s darling: he had a “passion for secrecy” and his statements were “at variance with facts.” It detailed failed and embarrassing covert actions—not naming country names, but with enough identifying contextual details to make things obvious enough for those who cared to guess. For instance, how the Nixon administration encouraged the Kurdish minority to revolt, then abandoned them when the Shah of Iran objected, of which caper the Pike Report concluded, “Even in the context of covert action, ours was a cynical exercise”—and, given later developments, a portentous one as well. The report was scheduled to be published at the end of January. And as the intelligence agencies negotiated with Pike Committee staff about its supposed grave threats to the safety and security of Grandma in her kitchen, Daniel Schorr of CBS got leaked a copy and reported on its contents. So did The New York Times, which revealed stuff like how an Italian neofascist general got paid $800,000 from the CIA—a revelation that had nothing to do with violating national security, but everything to do exposing incompetence and immorality. An absurd notion—back then. Who knows how close we may be to that now? Here was an unappreciated hinge in the constitutional history of America’s relatively new national security state—a debate over precisely that: whether the Congress in a national security state would be a co-equal branch. The House, writes Olmsted, “after spending one year and several hundred thousand” dollars on an intelligence investigation, voted more than 2 to 1”—with the preponderance of censors being conservative and Southern—“not to let the public learn what the committee had discovered.” The bloody shirt of Richard Welch proved too much the distraction. It was, after all, an election year. when the Pike and Church committees finally finished their work, the passion for reform had cooled. The House overwhelmingly rejected the work of the Pike committee and voted to suppress its final report. It even refused to set up a standing intelligence committee. The Senate dealt more favorably with the Church committee, but it too came close to rejecting all of the committee’s recommendations. Only last-minute parliamentary maneuvering enabled Church to salvage one reform, the creation of a new standing committee on intelligence. The proposed charter for the intelligence community, though its various components continued to be hotly debated for several years, never came to pass. Otis Pike, despite the many accomplishments of his committee, found his name linked with congressional sensationalism, leaks, and poor administration. Frank Church’s role in the investigation failed to boost his presidential campaign, forced him to delay his entry into the race, and, he thought, might have cost him the vice presidency. The targets of the investigation had the last laugh on the investigators. “When all is said and done, what did it achieve?” asked Richard Helms, the former director of the CIA who was at the heart of many of the scandals unearthed by Congress and the media. “Where is the legislation, the great piece of legislation, that was going to come out of the Church committee hearings ? I haven’t seen it.” Hersh, the reporter who prompted the inquiries, was also unimpressed by the investigators’ accomplishments. “They generated a lot of new information, but ultimately they didn’t come up with much,” he said. And now, we live with the consequences. Enjoy your Fourth of July! In case you missed Part I of Rick Perlstein’s “How the Powerful Derail Accountability,” read it here.